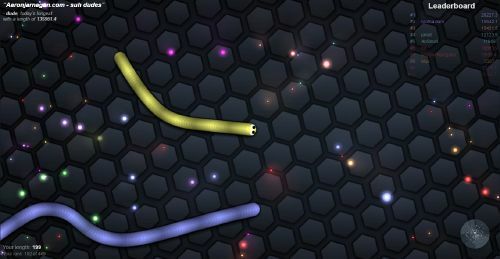 The most comprehensive source of Slither.io information with 290 pages (8 articles) written by 311 users. 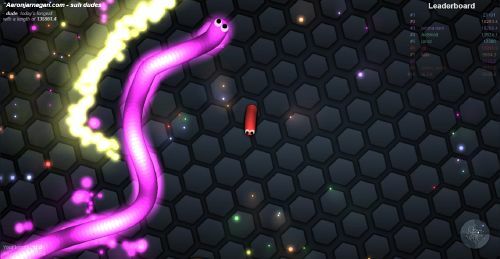 Slither.io is a smash-hit online browser game developed by LowTech Enterprises where you control a snake and play with millions of players around the world, trying to eat to become the longest snake of the day. Slither.io can be played on browsers via the Official Website and is also available for mobile devices on both the Apple and GooglePlay app stores. 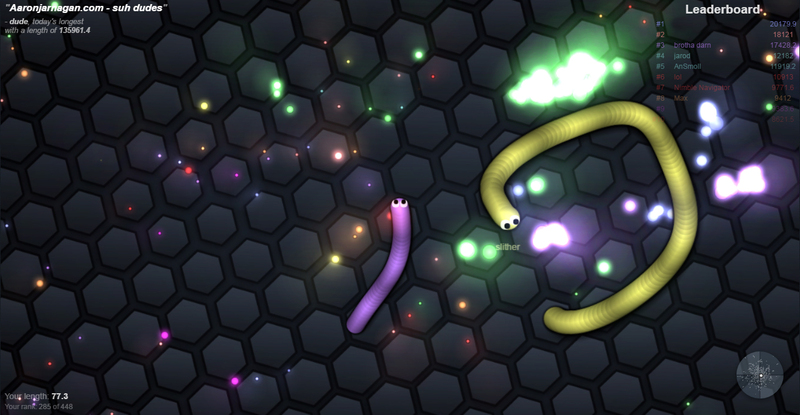 We are currently maintaining 290 pages (8 articles)! 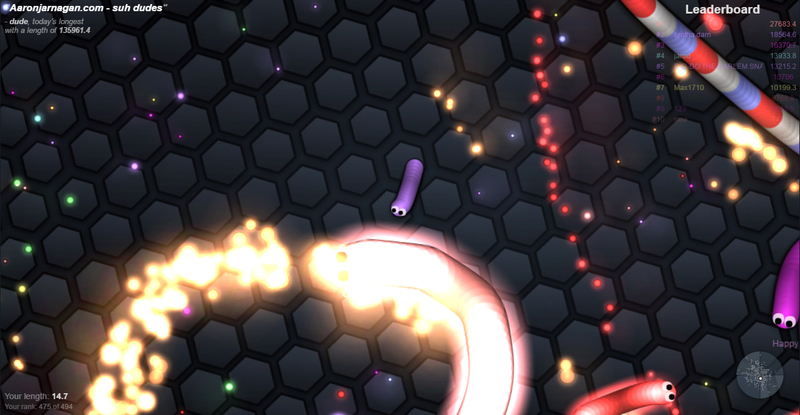 See how you can help contribute to the Slither.io Wiki! Remember to maintain a standard for grammar and punctuation in your contributions, please. This page was last edited on 19 April 2016, at 07:06.